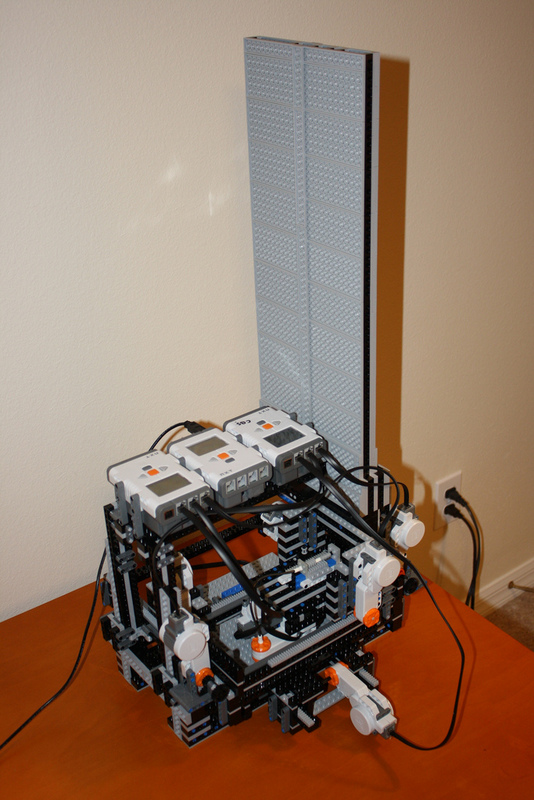 A 3D Printer made out of Lego ... that prints objects out of ... Lego! Here http://www.battlebricks.com/makerlegobot/ is a 3D Printer that's made out of 2,400 Lego pieces. But what is even cooler is that instead of using PLA / ABS filament to print, it uses Lego bricks to make objects.